Checkout who is gracing the cover of Harper Bazaar in September… America’s favorite couple, Kim and Kanye! These pictures were released on the Harper Bazaar Instagram page today. 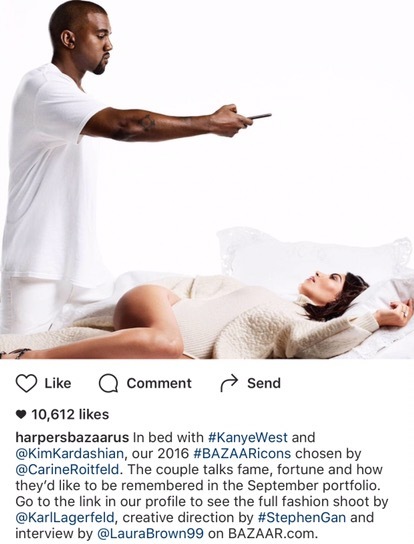 So that’s how Kim gets those angles on her shots… I was wondering who was taking those pics!